From the 20-28 August 2015 FORUM-ASIA will be involved in a range of activities in Ulaanbaatar, Mongolia. Further information and updates will be shared through our website and social media in the coming days. On 20-21 August 2015 the Center for Human Rights and Development (CHRD), Globe International, the Open Society Forum Mongolia, Oyu Tolgoi Watch (OT Watch) and FORUM-ASIA are organizing a National Human Rights Defenders (HRDs) Consultation on Protection Mechanisms. During the 1 ½ day national consultation, around 35 Mongolian HRDs, including HRDs from the provinces, will discuss the situation of HRDs on the ground; the actual risks HRDs are currently facing and suggestions on how to mitigate them; a proposed mechanism on emergency situation for HRDs; the existing local or national program support available in each organisation; and effective and efficient civil society organisation (CSO) protection mechanisms for HRDs. In this context the meeting will identify new and past recommendations related in specific to Freedom of Expression, Freedom of Assembly and Association and Human Rights Defenders, and discuss new strategies. The workshop will also include a session to discuss how recommendations from treaty bodies and Special procedure mechanisms can be complementary to each other and how follow up strategies could factor in these different mechanisms. Following this there will be an Asian sharing session on UPR experiences from the Asian region with contributions by Henri P Tipagne (India), Chalida Trajoensuk (Thailand), Khin Ohmar (Burma), Shahzad Ahmad (Pakistan) and Urantsooj Gombosuren (Mongolia). The Asian Civil Society Dialogue on Diplomacy and Human Rights will take place on 23-24 August 2015. It will be a continuation of discussions started during the Workshop on Human Rights and Diplomacy in Asia organized by FORUM-ASIA in October 2014 in Jakarta. The dialogue will be one and a half days long and bring together key human right groups in Asia. 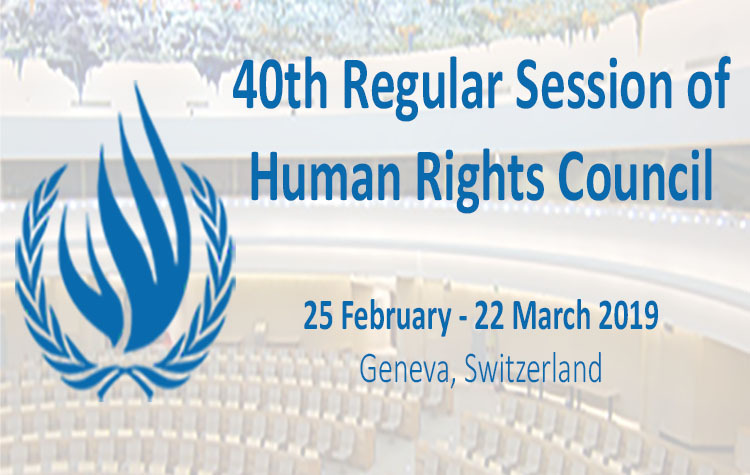 It will open with a half day meeting on Mongolia’s Candidacy to the UN Human Rights Council and subsequently will see a full day discussion on Asia states’ diplomacy on human rights and civil society strategies at various international platforms where human rights are discussed. On the 24th August a parallel media briefing will be organized, which will also focus on the candidacy of Mongolia for the UN Human Rights Council. The ANNI Regional Conference 2015 is themed “NHRIs Today: On the Fence, At a Crossroads”, and take place on the 25-26 August. It will both be a stocktaking effort to examine the contemporary relevance of the Principles Relating to the Status of National Institutions (Paris Principles), and a forward-looking exercise to ensure and generate support for National Human Rights Institutions (NHRIs) to operate and perform in an enabling environment. Finally, a delegation from ANNI will participate in the Asia Pacific Forum of National Human Rights Institutions (APF) NGO Dialogue on the 26th August. Following this all ANNI participants will attend the 20th Annual Meeting and Third Biennial Conference of the APF on the 28th August. The role of national human rights institutions (NHRIs) in preventing torture and other forms of ill-treatment will be the focus of the APF’s Third Biennial Conference, to be hosted by the National Human Rights Commission of Mongolia. The Conference will feature presentations from leading speakers on: a) The Role of NHRIs in Preventing Torture and Other Forms of Ill-Treatment, b) Monitoring under the Optional Protocol to the Convention Against Torture (OPCAT), and c) Engaging Law Enforcement and Security Forces to Prevent Torture. There will also be presentations from selected APF Torture Prevention Ambassadors on the innovative projects that they are conducting in their countries. Check our website, Facebook and Twitter to follow discussions, debates and updates on all activities.